Pre-emptive Note 2: Want to make it a server? Easy! Just download the installer for the right version of forge and tell the installer to install a server. Once it's installed and working, simply copy the config, mods and scripts folder from the pack to the server. Clientside only mods should get turned off automatically by the server if it picks them up. Pre-emptive Note 3: If you need optifine, go ahead and install it! I use optifine with the pack just fine, just get the latest one and pop it in the mods folder. Only a few minor graphical hiccups for a lot more FPS if you need it as far as I can tell. 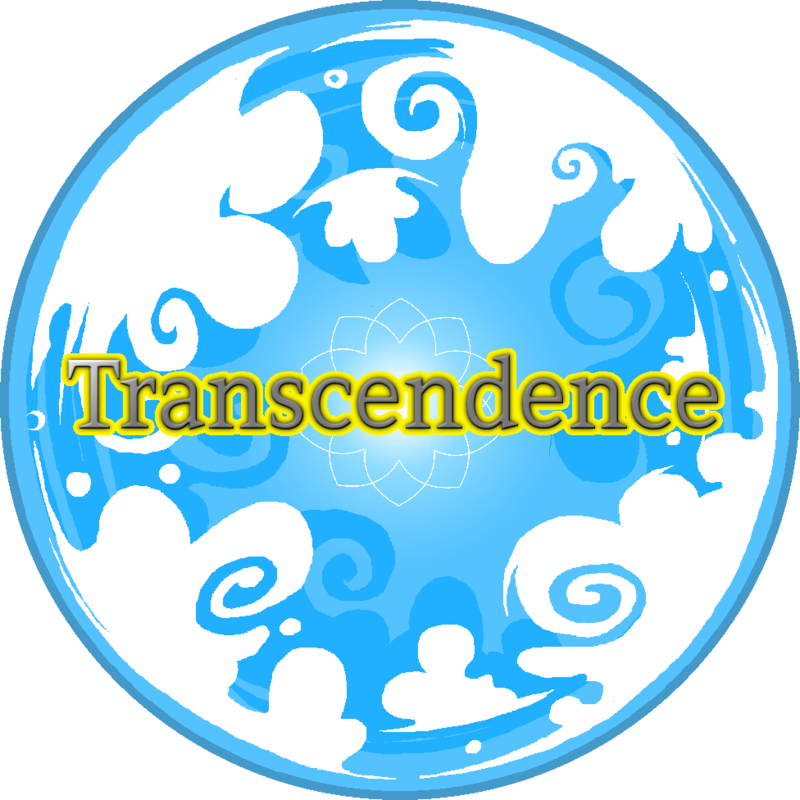 Today I bring you, Transcendence! Currently still work in progress this pack is a combat, exploration RPG type pack. 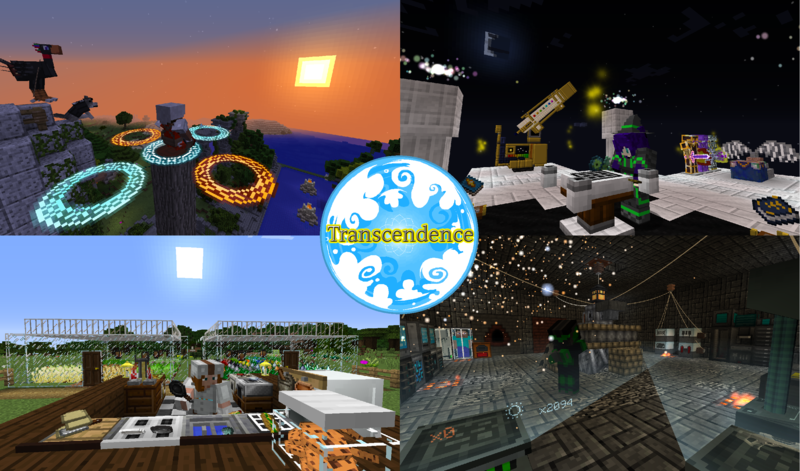 I tried to use some alternative mods to the usuals such as using silent gems, embers, astral sorcery and immersive engineering and Traverse. The pack also has a number of mods that have the power to directly improve your character with skills and powers such as the monk mod, cybernetics, angel of vengeance, learnable skills and Electroblobs wizardry. With some skills being already there, like wall jumps and double jumps! The modpack is mostly all set up and just requires me to gradually write out the story in the form of the quests and refine out any bugs. The quests follows the story of a character from my "modpack universe" as I call it, basically like a short story in a modpack unlocked as you play rather than being a solid mandatory handholding tutorial meant to funnel you through deep progression. Old steve, or "Mature Steve" in this, is a character from one of my other modpacks called Aetherwars Infinite it's over on Technic launcher for 1.7.10. Chronicling his existence and adventure through this world that he came to and his eventual rise in strength and transcendence with help from his friends (the 4 in the main picture). Enjoy, and please provide feedback and/or join my discord to give me feedback suggestions or just hang out. Modpack contains Nutrition mod by WesCook, which is a curse third party allowed mod available from Github! Hello, as an AoV enthusiast who likes the druid class a lot, I've added all "wooden" and "natural" weapons and armor (except from Minestuck and Minestuck Arsenal, because I'm unfamiliar with them) to the AoV centered gear list. I note that the config that comes with the download is mostly untouched, should I submit my version of the config up? Aw, geez. I'm running this on a macbook with 5 gigs allocated and all it does is overheat to 99 degrees whenever I run around :/ it might be optifine, but I'm kind of scared to try it without optifine considering what it already does even with optifine, feel like my computer is just going to suffer a heat death ._. A server with "Parachronology" and "Selim's Enchantments" installed won't start. I deleted the mods and now it works, but is there any way to get them to work? apologies. I had been in a state of minecraft related burnout for some time. I've updated the modpack and have found selims is still crashing, but parachronology should be fine. I haven't had issues with it before and I managed to run my own server with it just earlier with only needing to take out selims due to server related crashing with silent's gems. As of version 0.2.1 Selims should no longer be crashing as the bug was fixed and properly uploaded now. Hopefully as of this update it should be fixed if it was a known issue with doggy talents, as everything in this update as of this moment is the full latest there is. What mod is the one that adds the magic wheels from the image above to the left? ;) I hope it goes well.